Flash puts it all on the line: He plays a fearless game, sacrificing his body to the basketball Gods on a nightly basis. Sometimes we cringe when he hits the deck even though we know he's going to get right back up. That style of play has made him a fan favorite. 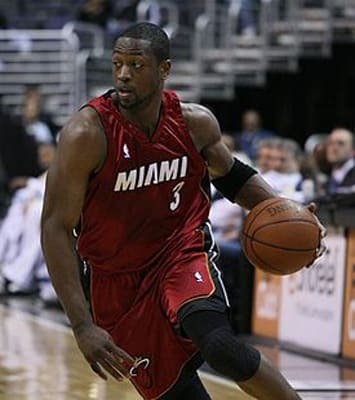 In just his third year in the league, Wade was the X-factor and took home the Finals MVP on a team that featured a still capable Shaquille O'Neal. That performance signaled his arrival as one of the NBA's best shooting guards.